Exhibitions as Research contends that museums would be more attractive to both researchers and audiences if we consider exhibitions as knowledge-in-the-making rather than platforms for disseminating already-established insights. Analysing the theoretical underpinnings and practical challenges of such an approach, the book questions whether it is possible to exhibit knowledge that is still in the making, whilst also considering which concepts of "knowledge" apply to such a format. The book also considers what the role of audience might be if research is extended into the exhibition itself. 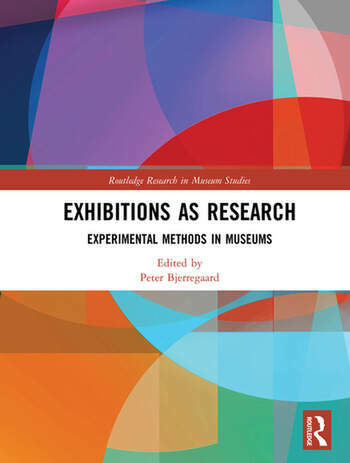 Providing concrete examples of instances where museum professionals have approached exhibition making as a knowledge-generating process, the book considers tools of application and the challenges that might emerge from pursuing such an approach. Contributions to the volume also offer theoretical insight, as the idea of exhibitions as research is considered a part of recent developments within materiality theories, object-oriented ontology and participatory approaches to exhibition making. Exhibitions as Research will be of interest to academics and students engaged in the study of museology, material culture, anthropology and archaeology. It will also appeal to museum professionals who have an interest in current trends in exhibition-making. Peter Bjerregaard holds a PhD in anthropology and works as senior adviser of exhibitions at Museum of Cultural History, University of Oslo. His recent interest has been on exhibitions as a particular mode of research and in developing experimental approaches to exhibition making that allow research to materialize in non-textual forms. He has been project leader and curator for a number of exhibitions, among them COLLAPSE – human being in an unpredictable world and Letting go. Together with Anders Emil Rasmussen and Tim Flohr Sørensen, he edited Materalities of passing:Explorations in transformation, transition and transience (Routledge 2016).